Not all composite wood plastic decking is created the same! Like many things in the world, not everything is created equal; and composite wood plastic decking products are no different. There are many different types and brands of composites on the market and many of them may initially look indistinguishable from one to the next. This guide is designed to help educate our customers on this new product and what to look out for when buying composite wood plastic decking and fencing products. 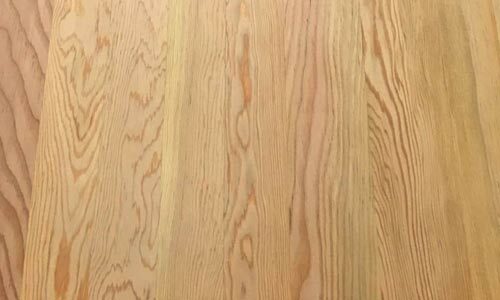 Softwoods are softer and less durable than a hardwood. 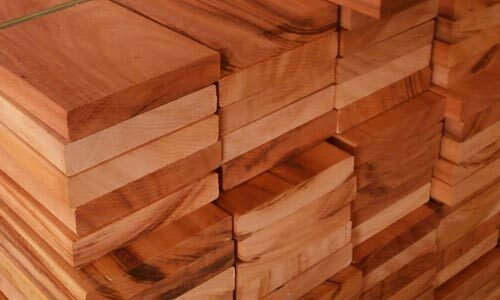 Due to their less complex composition, softwoods are prone to absorb more moisture and have a shorter life than hardwoods. Softwoods will have much larger spaces between the annular rings due to the high rate of growth, which produces a less complex and more open grain. Hardwoods on the other hand are generally much more durable than softwoods, especially those at the upper end of the hardwood scale. Hardwoods are generally deciduous (shed their leaves in autumn), grow slower and therefore have a much more complex structure than softwoods. The more complex structure can typically be seen in the concentration of tightly packed rings. Due to their slower growth, hardwoods are traditionally more expensive than fast growing softwoods. 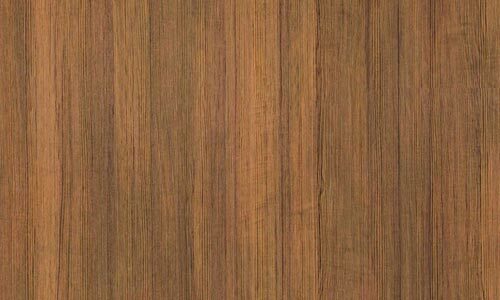 For these reasons hardwoods are perfect for wood composites. Composite Prime use European Oak wood flour. Unfortunately there are always exceptions to the rule, it’s not so easy to pigeon hole timber simply as soft or hardwood. 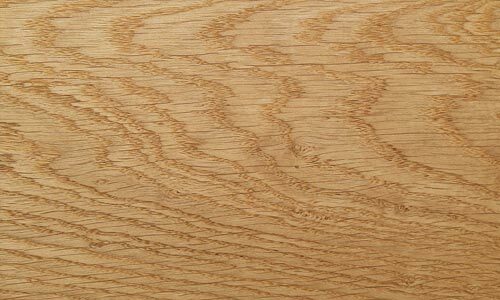 Some of the most notable exceptions are balsa wood, which is categorised as hardwood but is actually softer than most softwoods. On the other side, you have yew and Douglas fir which are softwoods but have a harder structure than a some hardwoods. These woods are not popular in the production of wood composites. 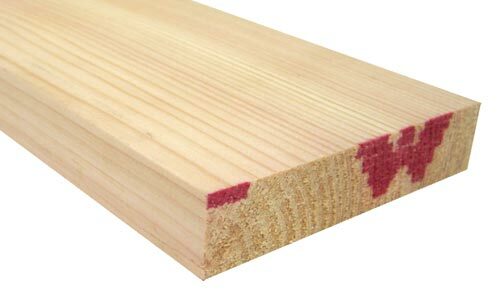 Poplar is very commonly used in composites. 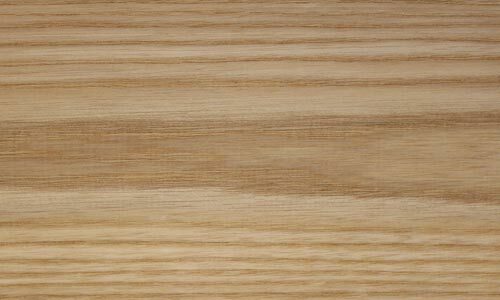 While poplar is classified as a hardwood it’s at the very soft end of the hardwood scale and is more akin to pine. 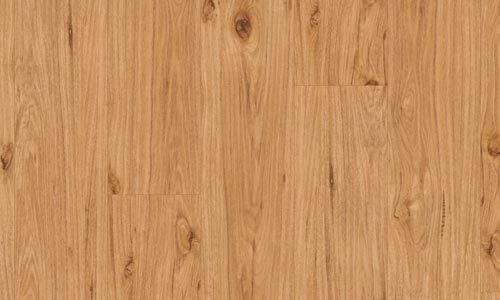 Poplar is a ‘soft hardwood’ and is considered too soft to use for hardwood applications. Some producers of composites use waste timber to more effectively monetise their waste material. 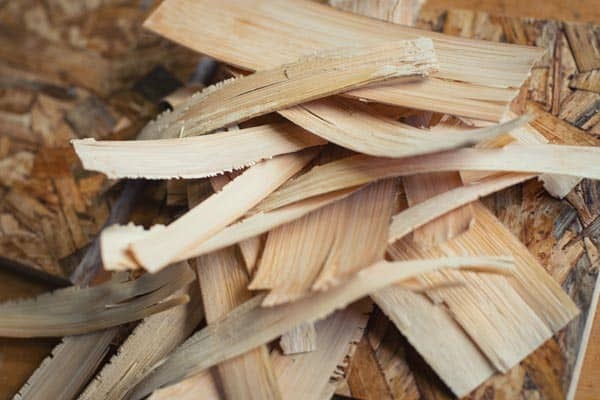 There are a number of sawmills and timber companies that produce composites from their waste material, usually this material is softwood or modified softwood. Where recycled woods are used it is very difficult to know exactly which wood species are contained within the wood flour. Even when buying wood flour that’s not been recycled, it’s very difficult to know the origin and species contained in the wood flour. While recycled material is a responsible source of timber, it’s not always going to guarantee the highest quality required for the product. Only by sourcing timber through a chain of custody system like that of FSC® or PEFC can the producer be certain of the origin and species as every transaction is traceable back to source. Composite Prime uses FSC® 100% certified hardwood that traces each species back to the sustainable forest it was sourced from. We can be confident in the quality of our wood composites because we can ensure the origin and species of tree in our wood flour. Bamboo is considered a hardwood and is much tougher than many hardwoods, but it is actually classified as a grass. This makes bamboo a very different proposition and material to timber. Bamboo is an ingredient that’s been used in wood plastic composites for many years now. It’s got some great credentials, especially as a sustainable ‘eco product’ and even cloths are now made from bamboo due to the touch durable nature of the fibre. 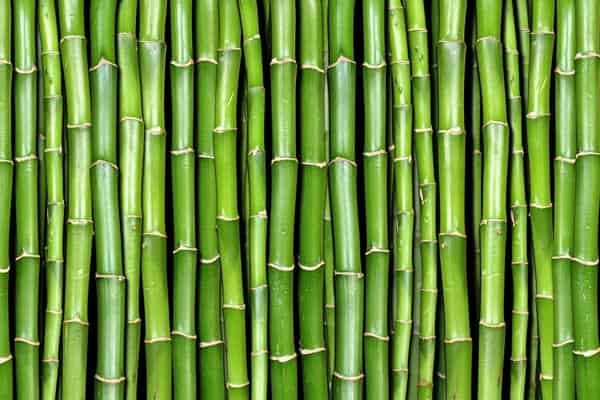 However, it does not come without its drawbacks, bamboo has a very high water content; dependant on its age, the water content of bamboo can contain anything from 50% for a 6-7 year old plant through to 90% water for a 1-year-old. Moisture content is very bad news for composite products. The moisture gets locked in but without any way to escape. The drying process is critical and any excess moisture left in the bamboo will result in the composite wood plastic decking having a much shorter lifespan. 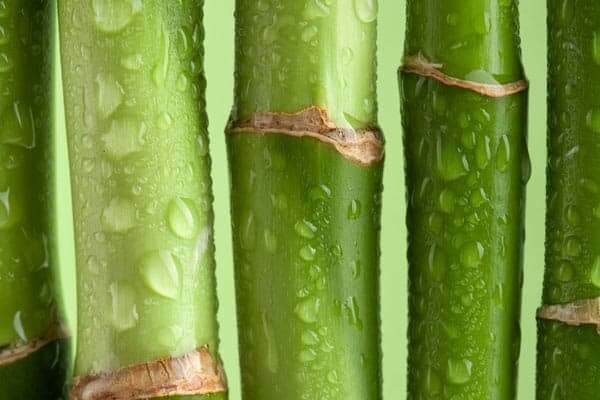 Bamboo is particularly susceptible to mildew. This is due to the type of starch in the bamboo, which mildew loves! The mildew can usually be removed with cleaning but it can cause discolouration to the composite material. The mildew will stop returning after a few years but it’s likely your deck or fence will have been heavily stained from repeated mildew growth. There are a few exceptions, but most composite wood plastic decking and fencing products on the market are made from Polyethylene (PE) or Polyvinyl Chloride (PVC). Polyethylene (the most widely used plastic) comes in various forms, including Low Density Polyethylene (LDPE) and High Density Polyethylene (HDPE). Both materials have very similar density 0.910–0.940 g/cm3 LDPE and slightly greater than 0.941 g/cm3 HDPE. The molecular structure of HDPE allows it to have a much higher tensile strength, while maintaining its flexibility compared with LDPE, which is used for plastic bags and applications where lesser strength, but increased flexibility is required. HDPE is used for applications such as water pipes and plastic container packaging, for example, milk and bleach bottles. You will note all the HDPE products are items that are very tough and difficult to tear or crack. In comparison PVC (the third most widely used plastic) is denser, harder and stronger than HDPE but has a lesser ability to dampen and absorb shock, especially in cooler temperatures. Due to its superior toughness, Composite Prime uses HDPE in HD Deck XS and 150 as well as HD Deck Dual. Recycled is good, but it needs to be high quality! HDPE is a highly recyclable product, the same challenges that apply to wood flour also apply here, but plastics’ quality can be managed to ensure quality. During recycling some of the original specific properties are lost due to processing, ageing and recycling operations. To maintain a high-quality wood plastic composite it’s vital all batches of HDPE are rigorously tested and QC’d prior to production. The material has to pass a stringent set of quality tests that check for contaminants (both plastic and non plastic) before going through a further set of stringent quality control tests to check the specific material attributes of the HDPE to be used in production. Failure at any stage of the QC process will result in the batch being discarded. The great thing about composites vs timber is that you can add things to the composite wood plastic decking recipe to make it perform better. Additives such as UV stabilisers, filters and antioxidants offer the composite increased protection from the harmful effects of ultraviolet radiation. UV radiation will have an ever-degrading effect on the wood, the plastic and the dyes used in the composite. The UV stabiliser gives the composite decking increased longevity by maintaining its colour and molecular structural integrity for longer. With every positive there is usually a negative, and that is the case with additives. Some products will use additives such as calcium carbonate, chalk and talc to make their composite products appear stronger in test data. You would be correct in thinking ‘stronger = better’ but this same ingredient will negatively impact the material two fold, it a) reduces impact strength, resulting in products that are more brittle and prone to cracking; and b) decreasing life expectancy by increasing water absorption. Water solubility of calcium carbonate is very low in pure water, but in rainwater that contains CO2 calcium carbonate forms the more water-soluble calcium bicarbonate allowing water ingress. Is there anyway to identify poor additives? A good way to identify a quality product is by its density. Quality composites will be lighter and have a lower density than cheaper products which are typically heavier with a high density. With a standard product (HD Deck XS and 150) you want to be seeing a density of approximately 1.30 g/cm3 or less and with a capped product (HD Deck Dual) a density of 1.26 g/cm3 or better. Water absorption rate is another way to identify the quality of a product. Some brands will publish water absorption test data to allow you to see how their product performs. A word of caution when comparing tech data, there are a number of ways of testing water absorption so it’s vitally important that you are comparing figures from like for like tests. Some tests will cause more water absorption than others, the end number is not the full story, you must know which test the product was subjected to. Whichever the test, the lower numbers equal less moisture absorption and better performance, just make sure the test is like for like. We have been through the makeup of the composite wood plastic decking material itself, now we will take a look at the structure of the product. Whether you are buying a deck, fence or cladding, it needs to be fit for purpose. For this example, we will look at decking, because it is a load bearing product that takes the most abuse from everyday use. Composite wood plastic decking can be extruded in all shapes and sizes and many composite products will be hollow in form to save weight and material. Decking is a product that comes in both solid and hollow variations. 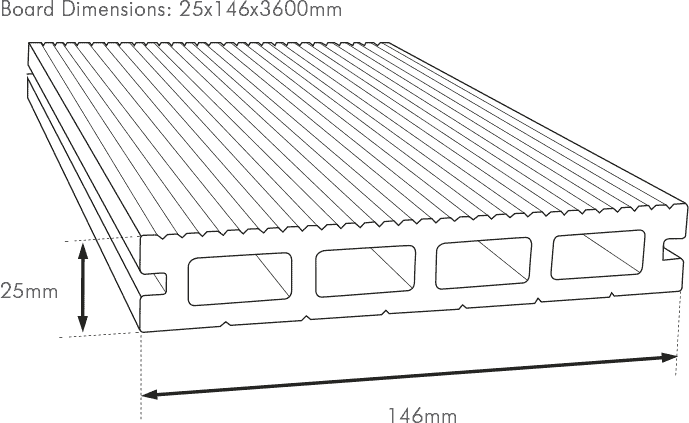 The solid decking profiles are generally stronger, although possibly by not as much as you might expect when compared to a rectangle hollow as this design efficient and effective under load. Solids are also heavier, more expensive and usually reserved for commercial applications that take more footfall. Hollow decking is a lighter and cheaper alternative. While it is important all types of product designed well for the intended purpose, it is even more critical with hollow decking. It is imperative that the hollow decks contain enough material in the right places to give enough structural strength to the product, otherwise there could be risk of structural failure. HD Deck XS walls are between 6.4mm (gross) and 5.0mm (net) thick with the shoulders having a thickness of over 9mm; we believe this is one of the highest specification standard type hollow decks on the market today. When compared to a deck with 4mm walls, you can see where the cost savings can be had, removing 20% of the material will reduce the cost price by the same amount. While this might initially sound like a good idea, it’s not. The manufacture will most likely use this tactic to reduce price and increase their margin. Reducing the material will ultimately also reduce the strength, durability and longevity of the deck. The person who pays in the end is the customer, so be aware. Standard composite vs fully capped, what's the difference? Standard composite wood plastic decking such as HD Deck XS and 150 is the starting point for composites. 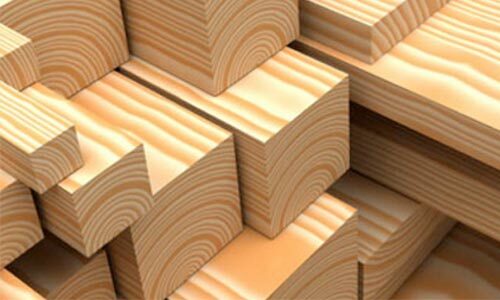 They offer a number of advantages over timber, including low maintenance and long life. They also have a few things in common with timber – the main one being the stain factor. Standard composite deck boards can stain, especially with oil and grease. This is where fully capped products like HD Deck Dual come in. Note that we are talking about fully capped and not half capped or partial capped products. Fully capped products offer increased durability and extended life over the standard composite wood plastic decking. This is because the outer capped surface is even better protected from the elements; water cannot penetrate the outer layer at all, which brings water absorption down even lower than that of standard composites and therefore increasing life. This outer layer is also highly resistant to grease, oil and other stains such as red wine. So dropping that sausage or spilling a glass of red on your nice new composite wood plastic decking is no longer an issue as it can be simply wiped up without fuss. Fully capped products also offer a number of other benefits over standard composite decking. The surface can be coloured and moulded to replicate the look of wood. In the case of HD Deck Dual we are able to colour both sides to give you more choice and options with design when it comes to laying your deck. Capped composite decking comes in a number of forms, fully capped is always better than half or part capped.